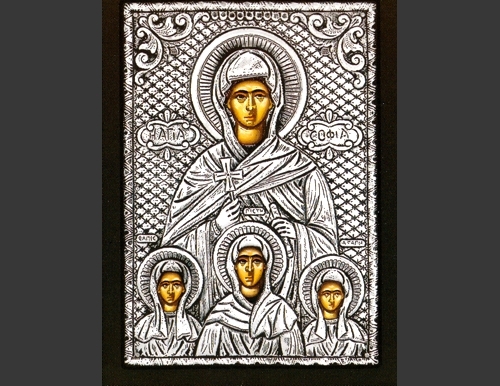 An exquisite silver Greek Orthodox icon of the St. Sophia & Her Daughters. 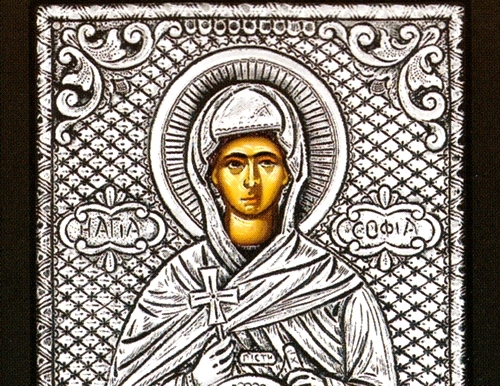 Saint Sophia the Martyr (died 137 AD) is venerated in the Eastern Orthodox Church on September 17. Born in Italy, Sophia had three daughters Faith (age 12), Hope (age 10) and Love (age 9), who were named after virtues mentioned by Saint Paul in 1 Corinthians 13.